SMOKING HOT! Signup For GroundLink Car Service And Get $25, Plus Get $20-$30 Credit For Each Visa Signature/Infinite Card That You Enter! You can signup for GroundLink with my referral link and you’ll get a $25 ride credit. You can then register your Visa Signature cards here for an additional $20 credit for each card that you register. 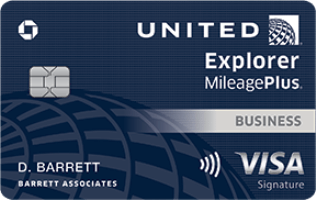 These include cards like Chase Hyatt, Sapphire Preferred, and United. 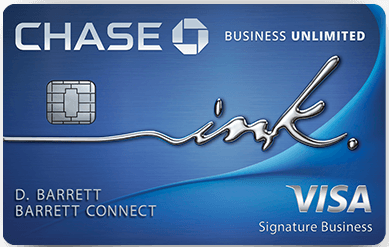 You can register your Visa Infinite cards here for an additional $30 credit for each card that you register. These include cards like Chase Sapphire Reserve or Ritz. You can enter in anyone’s card number and stack all of the credit together in one GroundLink account! Just enter the cardholder’s name and info and just link it to your account! You’ll also get 10% off any rides booked with an Visa Signature card or 15% off any rides booked with a Visa Infinite card! All of your credits and the additional 10-15% off stack together for use on your rides. Post how much credit you have after adding your cards! 125 Comments On "SMOKING HOT! Signup For GroundLink Car Service And Get $25, Plus Get $20-$30 Credit For Each Visa Signature/Infinite Card That You Enter!" You can earn hundreds or thousands of dollars in credit with this. I think you may have meant to include Reserve under infinite? I got through a few cards but it’s started glitching and crashing. Hope other people had more success! When does the credit expire? Is there a list of eligible Visa cards? Where do you add this code? where to add that code? Do the credits (both referral and from Visa) ever expire? Dan, tell me about GroundLink. Never heard of it. Both my business visa signature cards were ineligible. can you enter in the same visa infinite of same visa signature on 2 diffrent accounts, me and my brothers, to get the 30 dollar credit for each account ? Sorry for the inconvenience—our GroundLink site is down for a bit of maintenance right now. We’ll be back on line shortly. In the meantime, call us to book, edit or cancel a ride. Thanks for your patience. I was able to create a new account with your referral link. When I tried to enter a card number I got an error message-site is down. Website’s down at least on the page that would provide credit after you enter the credit card. Dan can you apply the same card to multiple accounts? Keep refreshing the page to get it to load. looks like we brought their site down. Good Job! that was fun! Why do I keep of thinking about groundhogs day? It’s tomorrow. How coincidental. Chase Freedom Unlimited eligible… if I can get it to LOAD!!! keep refreshing, it’ll work eventually. I finished all my cards – have $165 in credit. somewhat doubtful that’ll they honor it but fingers crossed! do these credits earned from sign up and adding visa cards have an expiration date? It’s not a price mistake. It’s a promotion. I dont see that coming here. I dont think this is a price mistake, is it? This isn’t a price mistake. It’s a targeted promotion to increase usage among visa card holders. They are hoping that after $100 in free credits most people will love the service so much they never stop using it. visa signature business doesnt work? 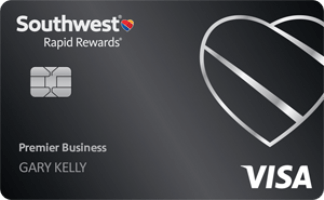 May not even be worth it…How many Visa cards do you have 1? 2? 3? Even if four…I just put in FLL to hotel in Bal Harbour, Miami. Even Economy Car (which is the cheapest option), it’s around $140. Yeah, not worth it. I’m at $215. Used multiple Preferred, Reserve, BA, Hyatt. What else works? do expired cards work as well? You can make up the exp. date you just wont be able to use that card. Alas I’m traveling now and only have a few cards on me that work. You get free checked bags Dan! you should have bought a 50lb suitcase full of all your cards! I expect better of you Dan! 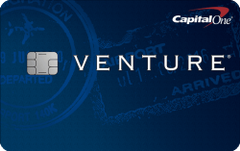 Capital One Venture cards too! I tried entering the Citibank Costco card which is a VISA Signature card and it was ineligible. Why? I hope to get more when I get home, add more cards. Care to explain what this service is all about? at $365, can’t find my Hyatt ccs to put it over $400. could it be that all my cards yield this result? Will the bonus for adding cards expire? 105! thanks Dan! Also, just received one of orders from BR! are they new company? I have never heard of them, now I was a bit hesitant to give all these full credit card infos. Business cards not eligible. I am missing $20 credit from one card that was eligible and is on my credit card list in my account and I got a confirmation email that I’m getting the credit. 2 of my BOA cash rewards card got it but the third one said not eligible although it’s the identical product as the other 2. Has anyone been able to successfully book a ride? I was able to get the credit, but when I went to book, I was unable to apply the credit. I checked the “pay with credit” box and then it just unchecked itself. That worked. Booked a luxury sedan with in-airport driver meeting for pickup in HKG! Thanks!! Thanks Dan, I was on a flight to JFK when you tweeted this out, and I had a free ride home in a suburban! Virtual cards work as long as they were used once before, so u cant just generate new ones. When you find out about a deal like this, do you first register all your credit cards for the deal and then make the post on your website or do you first post the deal and then try to get in on the action? I think it’s interesting question. This deal in particular was around for a few days before the post. I was able to register for $170 in credit before the deal seems to have died. I had two more cards I needed to add but couldn’t find them when I added the others around 7 PM EST. Had to reset my password this morning for my account to work. Yesterday my balance was $105. Today it’s $0 anybody else? It says “invitation code not valid”. Did anyone else’s GroundLink account get erased? Mine did! Seems my account was closed. When I went to sign in it shows the account is not known, even when trying to reset my PW. Anyone else experience this behavior? Dans invite code not valid, anyone else have their own they can share? My account was deleted after logging $165 on various ccards. I’m never going to use this service. Looks like everybody’s account got shut down/deleted if they added credits to their account. would you mind sharing how to get into the groundlink accounts? My account deleted!! I worked so hard!! Can you please elaborate? I logged into the app but now I’m signed out. What do you mean by the @@@ symbol? you recently booked a ride with us for pick up on 2/15. While we are ready and willing to complete this ride for you, it has come to our attention that there has been a violation of our Terms of Service that needs to be cleared up 1st. It appears that you have tried to pay for this complete trip using more than one credit and or discount code. Under our Visa Infinite promotion Terms of Service, you are only able to use 1 promotional credit per ride along with a 15% discount when paying with your eligible Visa Infinite card. Guess they lost a customer.